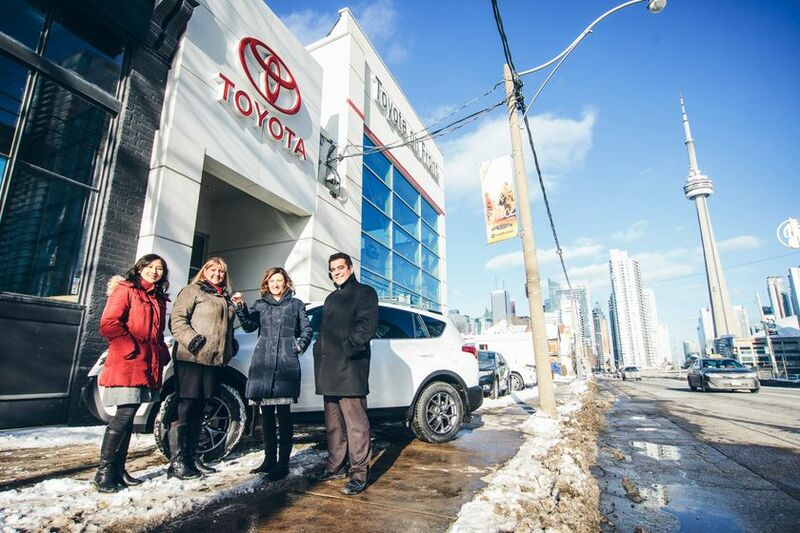 TORONTO, ON., (February 26, 2015) – Toyota Canada is donating a 2014 RAV4 to continue the next phase of safety research at the University of Toronto. Industrial engineering professor Birsen Donmez is in the midst of a three-year study analyzing driver feedback systems. These are in-vehicle features that warn drivers to focus their attention on the road, including on-dash warning lights and auditory alarms. The RAV4 donation will be integral to Prof. Donmez’s research that is focused on how drivers react to feedback systems, and discovering what kinds of systems are most effective in alerting and motivating people to drive safely. For example, she is looking at technology such as eye trackers that can improve responses to road events and inhibit potentially risky behaviours. Safety research at the University of Toronto has helped make possible Toyota’s newest generation Driver Awareness Research Vehicle (DARV 1.5), which is part of ongoing research into the dynamics of driver distraction. The DARV 1.5, which was first displayed at the Aspen Ideas Festival in June, uses advanced technology, including Microsoft’s Surface and Kinect and custom biometric software and algorithms by Infosys, to help driver, passengers and the vehicle itself work together as a team to achieve safer driving.